On August 10 and 11, 2017, the American Bar Association Annual Meeting launched a special set of CLE programs in its first ever “CLE in the City” series. The series took place in some of New York City’s most prominent law firms and other preeminent locations, such as the United Nations, the New York City Bar Association, Lincoln Center for the Performing Arts and the New York International Arbitration Center. For the first time in its history, non-ABA members were able to access the kind of quality programming and distinguished speakers that are ordinarily exclusive to ABA members. Many of the speakers were in-house lawyers, including representatives of: Citicorp; Credit Suisse; Deutsche Bank; American Express; MasterCard; and eBay. The CLE in the City series was the inspiration of ABA President Linda Klein. She brought together Michael H. Byowitz of Wachtell Lipton Rosen & Katz and Stephen P. Younger of Patterson Belknap Webb & Tyler LLP to serve as co-chairs for this ambitious calendar of programming. They rallied various internal and external resources resulting in an opportunity for ABA and non-ABA members to network and be updated on evolving legal issues in a wide range of fields. The goal was to expose lawyers who are not already ABA members to what the ABA can offer. Under the direction of the co-chairs, 51 law firms and 25 bar associations supported or co-sponsored the events. This collaboration yielded legal education programming in 12 substantive tracks: antitrust; commercial litigation; construction law; corporate governance/mergers and acquisitions; family law; financial restructuring and insolvency; financial technology; international dispute resolution; the legal profession; trial practice; United Nations; and white collar criminal law. • The Commercial Litigation Track offered three CLE programs and a luncheon on commercial cases in the commercial courts. Notably, the CLE “Winning Commercial Cases at Trial: the Keys to Success” featured a panel of litigators and judges, with an overflow crowd at Kelley Drye & Warren LLP. Attendees enjoyed an expert panel discussion on strategies and practical advice for success in preparing for commercial trials. • The Construction Law Track featured a CLE on “Winning the Case Without Breaking the Bank – Leveraging Recent Rule Changes to Make Litigation (and Arbitration) More Affordable,” which detailed recent changes in the Federal Rules of Civil Procedure, aimed at controlling the cost of trying a case. This program, hosted by Arnold & Porter Kaye Scholer, was followed by a presentation and a behind-the-scenes walking tour of Lincoln Center, “Lifting the Curtain: A Look Behind the Scenes at the Lincoln Center Renovation Project 2005-2011,” with Lesley Rosenthal, General Counsel of Lincoln Center for the Performing Arts as lead moderator. The day before, BakerHostetler hosted two CLE programs and a luncheon featuring speakers from FTI Consulting. • The Legal Profession Track offered CLE programming on the timely subject of cybersecurity led by Patterson Belknap Webb & Tyler LLP partner Craig A. Newman. Other programs included judicial perspectives on ethics and artificial intelligence and the law. These events were held at the New York City Bar Association. • The Trial Practice Track, held at Fordham University School of Law, featured both practical and inspirational programs, including a historic trial led by Hon. Denny Chin, the “Reenactment of the Heart Mountain Draft Resisters Trial,” involving draft resistance by 63 Japanese-Americans, including those held in internment camps. The luncheon speaker was Hon. Jed S. Rakoff, who spoke on the practical aspects of appearing before a judge or a jury. The second day’s CLE, “How Juries Think and Behave: Empirical Research from Real Jury Deliberations,” was moderated by American Bar Foundation’s Research Professor Shari Diamond, who discussed new findings on how juries think in civil cases. • Luncheons: The CLE in the City tracks included informative lunch programs with prominent speakers including: the Antitrust Track featured Marvin N. Price, Jr., Director of Criminal Enforcement, Antitrust Division, U.S. Department Justice; the Commercial Litigation Track featured Hon. Colleen McMahon, Chief Judge, United States District Court, Southern District of New York, and Hon. Barry R. Ostrager, Justice, Commercial Division, New York; the Corporate Governance Track featured Martin Lipton of Wachtell Lipton; the Legal Profession Track featured New York County District Attorney Cyrus R. Vance, Jr.; and the United Nations Track featured Hon. H.E. Mr. Peter Thomson, President of the UN General Assembly. There were several free events, including a CLE program on “Bright Insights: Key Business Drivers and Trends Affecting Real Estate Decision Making,” presented by Cushman & Wakefield. This was followed by an entertaining “Trial of Two Pizzas” (i.e, New York v. Chicago style pizza). Given the strong interest in this year’s event, the co-chairs are enthusiastic about repeating this format at next year’s ABA Annual Meeting, which will be held in Chicago. They share a great sense of pride in both the development and success of the 2017 CLE in the City series and look forward to assisting with another successful series in 2018. 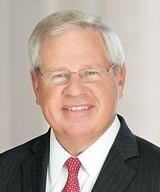 Stephen P. Younger is a partner at Patterson Belknap Webb & Tyler LLP. He served as co-chair of the CLE in the City programming. 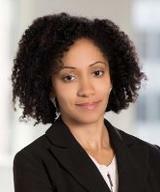 Lia Brooks is the Legal Director at Zearn, Inc. She helped organize the CLE in the City programming and served as co-chair of the Legal Profession track. Stephanie Coggins of Patterson Belknap assisted in the preparation of this article.